Are Cows Comfortable in Modern Dairy Facilities? The main challenge of modern large dairy operations is to achieve high milk yield per cow without sacrificing health and welfare. Properly designed and managed facilities allow calves, heifers, and cows to be comfortable and successfully grow, mature, maintain health, and reach peak performance. 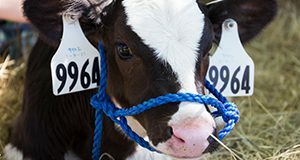 This 8-page document discusses facilities, cow comfort, resting behavior, feed and water access and availability, stocking density, and heat stress. Written by Izabella Toledo, and published by the UF/IFAS Department of Animal Sciences, December 2018.